1.1 “Content” means all text, pictures, sound, graphics, video and other data supplied by Client to Provider pursuant to Sections 2 or 5.1(c), as such materials may be modified from time to time. 1.2 “Design Fee” means the fees set forth in letter of agreement for Website development services provided pursuant to Section 2. 1.3 “Domain Name” means the domain name specified for the Website by Client from time to time. The initial Domain Name is specified by Statement of Work and Letter of Agreement. 1.4 “Intellectual Property Rights” means any and all now known or hereafter known tangible and intangible (a) rights associated with works of authorship throughout the universe, including but not limited to copyrights, moral rights, and mask-works, (b) trademark and trade name rights and similar rights, (c) trade secret rights, (d) patents, designs, algorithms and other industrial property rights, (e) all other intellectual and industrial property rights (of every kind and nature throughout the universe and however designated) (including logos, “rental” rights and rights to remuneration), whether arising by operation of law, contract, license, or otherwise, and (f) all registrations, initial applications, renewals, extensions, continuations, divisions or reissues hereof now or hereafter in force (including any rights in any of the foregoing). 1.5 “Milestone Delivery Schedule” means the schedule for development of the Work Product set forth in Statement of Work and Letter of Agreement. 1.6 “Provider Tools” means any tools, both in object code and source code form, which Provider has already developed or which Provider independently develops or licenses from a third party, excluding any tools which Provider creates pursuant to this Agreement. By way of example, Provider Tools may include, without limitation, toolbars for manoeuvring between pages, search engines, Java applets, and ActiveX controls. 1.7“Specifications” means Client’s requirements set forth in Statement of Work and Letter of Agreement , as amended or supplemented in accordance with this Agreement. 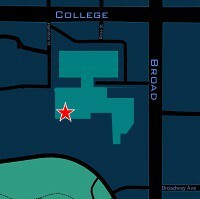 1.8 “User Content” means all text, pictures, sound, graphics, video and other data provided by Website users. 1.9 “Website” means the user interface, functionality and Content made available on pages under the Domain Name. 1.10 “Work Product” means all HTML files, Java files, graphics files, animation files, data files, technology, scripts and programs, both in object code and source code form, all documentation and any other deliverable prepared for Client by Provider in accordance with the terms of this Agreement. 1.11 “Template” means the universal background and design layout to appear behind the content on all web-pages. 1.12 “Content Management System” (CMS) is software used to automate the process of creating, publishing, and maintaining content. A CMS simplifies content production by empowering content contributors to perform content creation, publishing, and maintenance-related tasks. A CMS separates page design from content, facilitating content maintenance and design changes. The CMS used is at the choice of the provider. 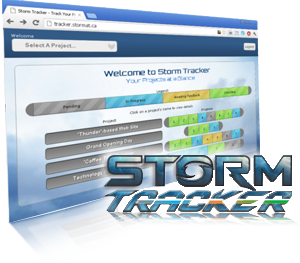 "Storm Tracker" project management software was created in-house by Storm to provide our clients with real-time updates on each step of their projects' progress.